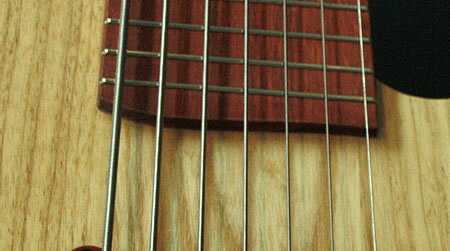 which not only contribute to great playability but also to the sound. 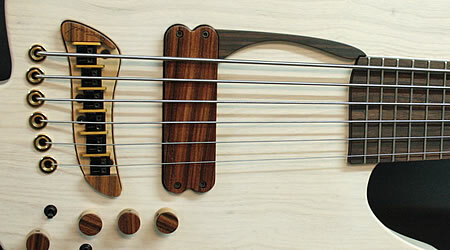 The easy access to upper frets, great ergonomic in sitting or standing position and of course the sound will make a joy playing this unique instrument. 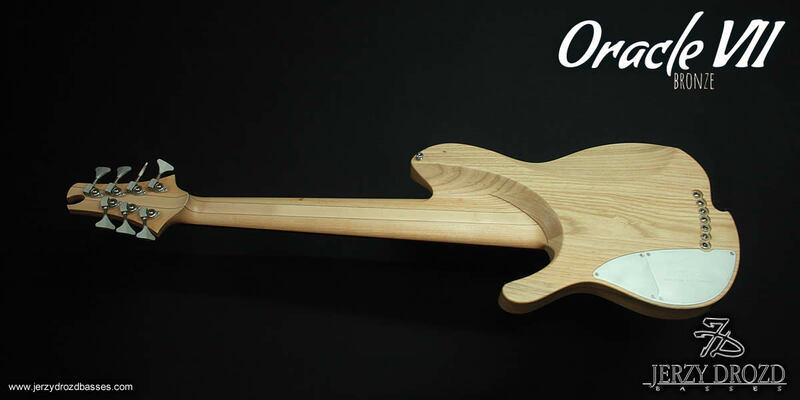 We have decided for 33" scale for this bass to make it´s sound caracteristics unique and to make the whole neck playable without any restrictions. 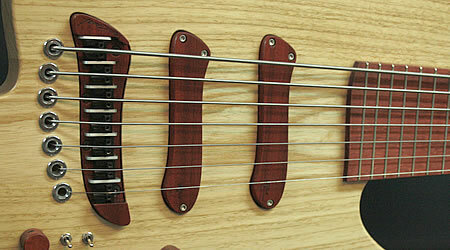 If you are used to play long 35" scale basses you will feel difference on the first sight. 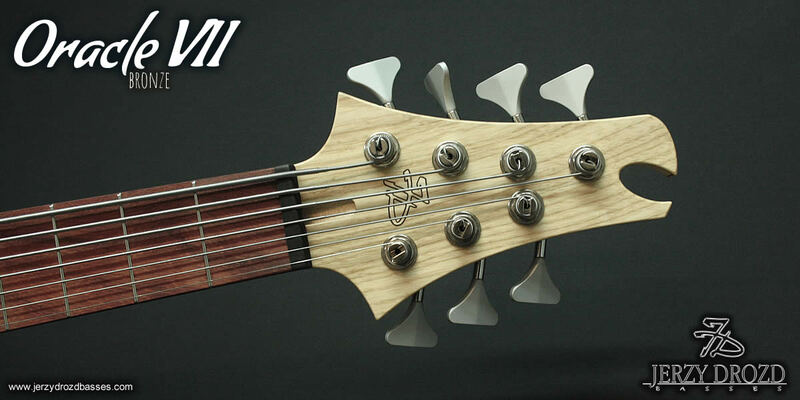 El Oracle™ is our response for bass guitar focused on great playability and great ergonomic. 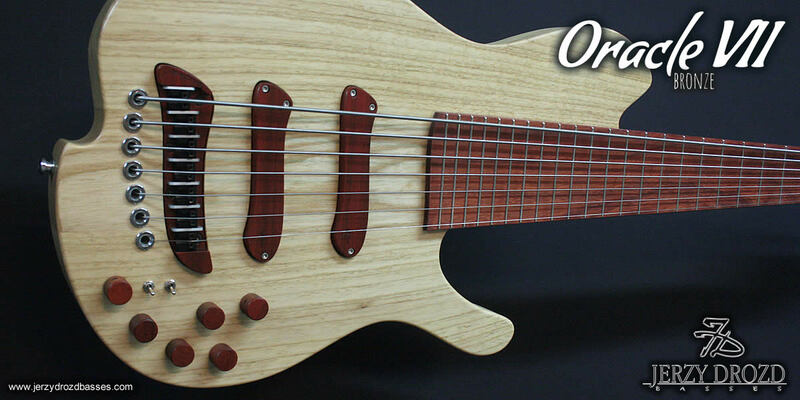 If you spend long hours playing and giging and you need lightweight and easy to play instrument then Oracle bass guitar is for you. 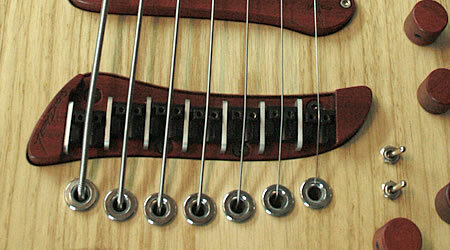 Due to it´s dual pickup position we also created unique thumbrest so you can feel confortable along entire space between fretboard and pickups. 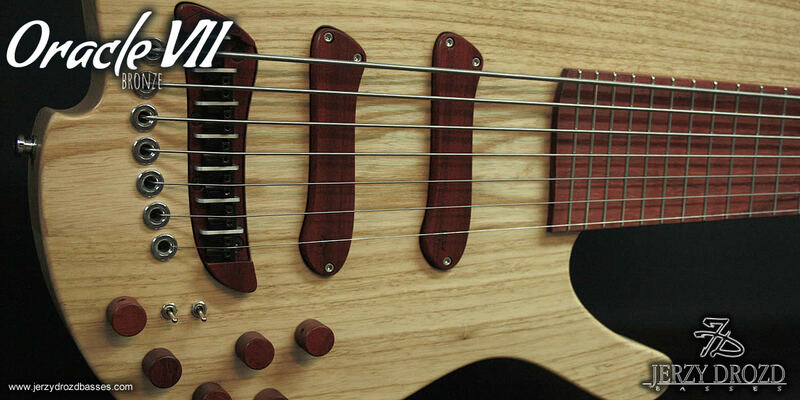 Our two JeDXS single coil split pickups are wired in series/paralel for exquisite soundings. 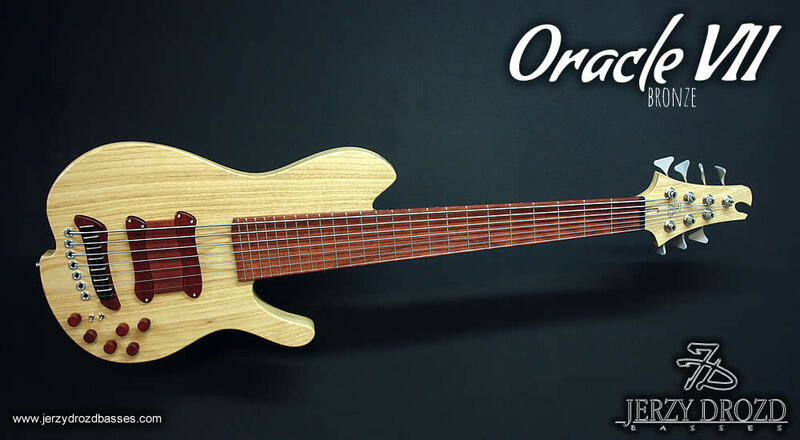 As our Oracle Gold and Oracle Silver instruments Oracle Bronze is available in two: 24 frets and 26 frets versions. 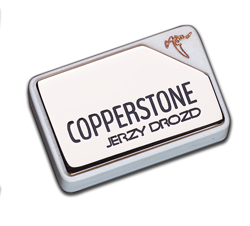 Detachable thumbrest between double coil and triple coil pickup and fretboard are available, also detachable thumbrest and ramp between standard JeDXS pickups are available as well. 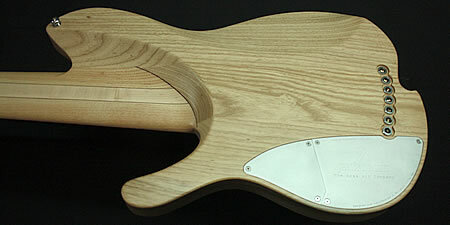 You can choose wood species for both ramp and thumbrest. 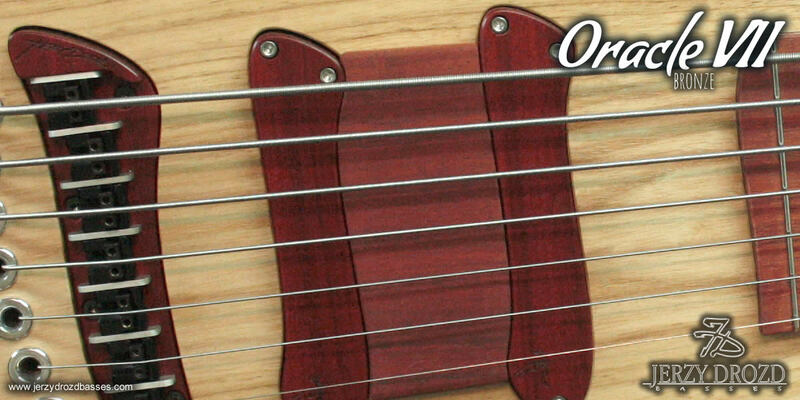 For our entire Oracle series we have opted for flat fretboard. 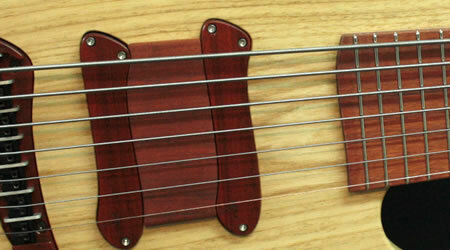 JeDXS neodimium pickups also double coil and triple coil pickups are available. 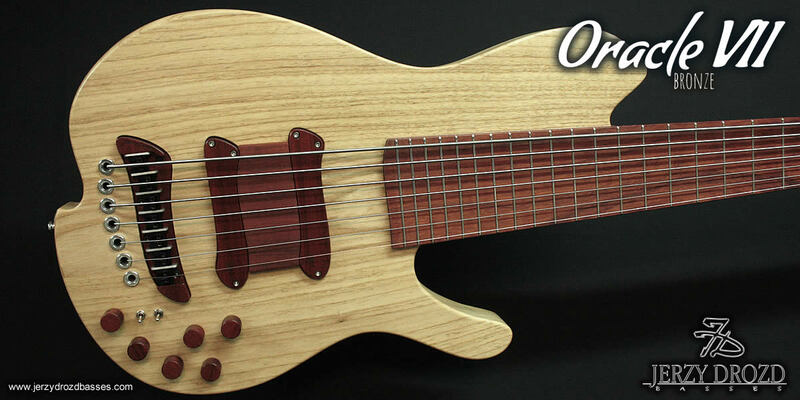 Flex Core 4 band preamp from Mike Pope is available as extra option. 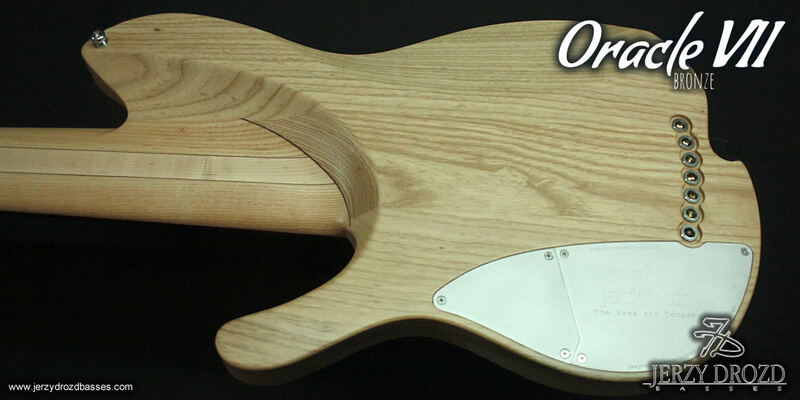 Flex Core preamp is probably one of the most versatile and flexible preamps available today. 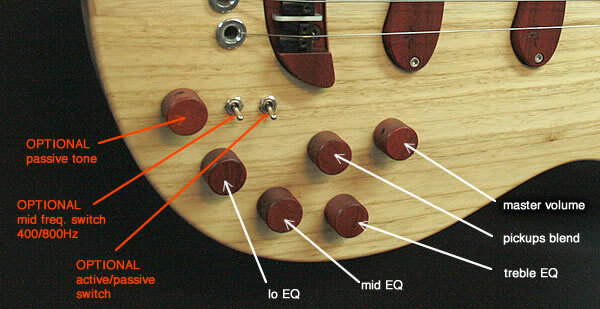 It offers more than 10 expansion modules to match your needs. This is very complete and flexible sound vise layout, yet you can ask us to customize Flex Core layout to meet your particular needs. For more views of Oracle please check right column gallery "ORACLE VIEWS"